Most modern production lines need a labeling system that they can count on to be accurate, fast, and reliable. 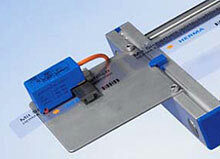 Our HERMA H400 Series pressure-sensitive label applicators provide speed, precision and true modularity. 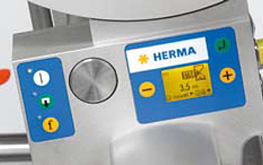 Weber's HERMA H400 is one of the most versatile wipe-on pressure-sensitive label applicators due to its variety of unique, modular configurations. 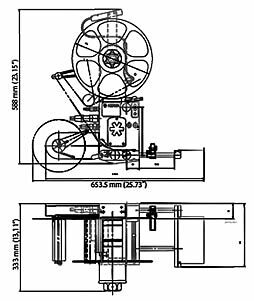 The key is the HERMA's basic servo drive unit, which remains the same throughout the 400 Series. This dependable motor powers the entire range of modules Weber offers. As a result, any HERMA applicator easily can be reconfigured for higher-speeds or for an alternate method of application if future labeling demands change. Because this system features so many modules and a built-in controller, the HERMA H400 can be integrated with practically any existing production line. Or Weber can build the unit into a custom material handling system specifically developed for an individual application. • Controller and operating display is built in; no separate controls required. 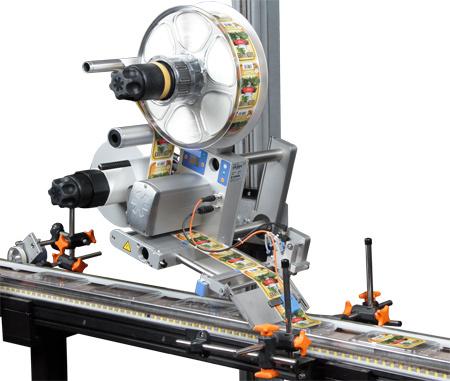 • Automatic synchronization of labeling and product handling speeds. • Comprehensive selection of modules. 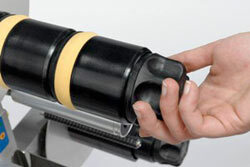 • Special unwind unit provides consistent web tension. Unwind unit maintains a constant web tension, preventing tolerance issues at the peel bar. Threading and tensioning the web are very user-friendly. Clearly-defined display panel facilitates adjustments to operational parameters; provides 30 preset functions. 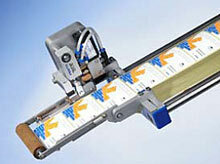 • Pivot peel bar with application roller – for liner labeling of products with varying heights or uneven shapes. Label peel bar swings don to meet product as it passes on conveyor. Standard Unit: Approx 35 lbs.